Fresh strawberries over biscuits. Summer. Portland is twitchy for summer. For the past few weeks, a wet gloom has settled in, granting only brief merciful glimpses of warmth and sun. Then, June 1 dawns, and with it a glorious Saturday. After a walk around the neighborhood, a drink or two at one of our favorite wine bars and dinner on Alberta Street, a sweet treat beckons. 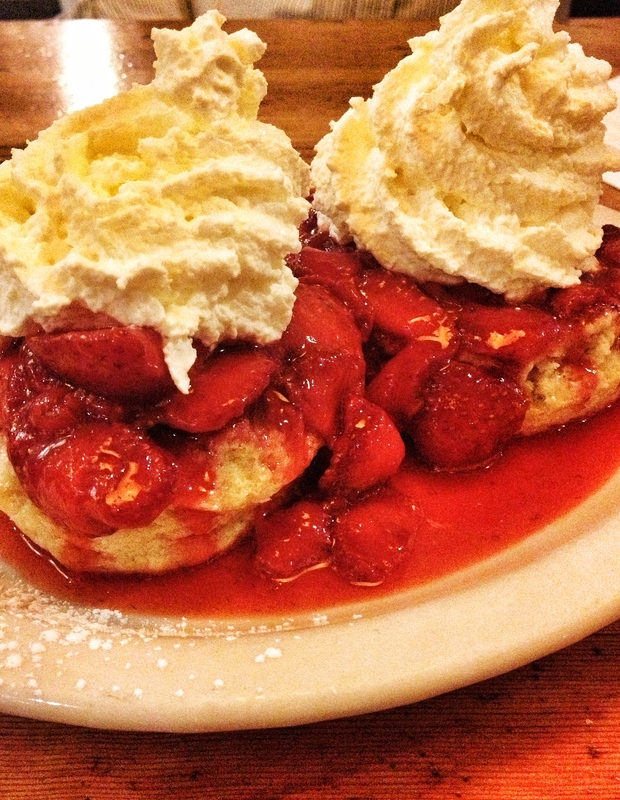 On the stroll home we duck into Pine State Biscuits for this beauty: Two biscuit halves topped with fresh, sweet strawberries and whipped cream. SOS: summer on a shingle.